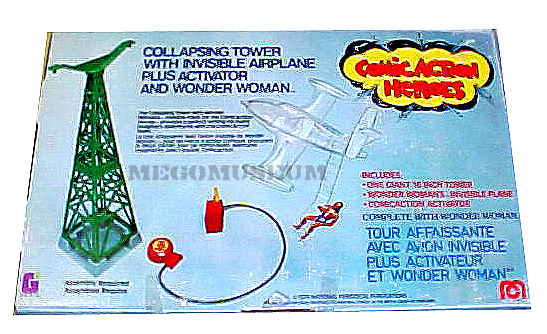 Pictured above is the slightly smaller Canadian Grand Toys box for the playset. The Canadian box is smaller than the US release and features altered graphics. 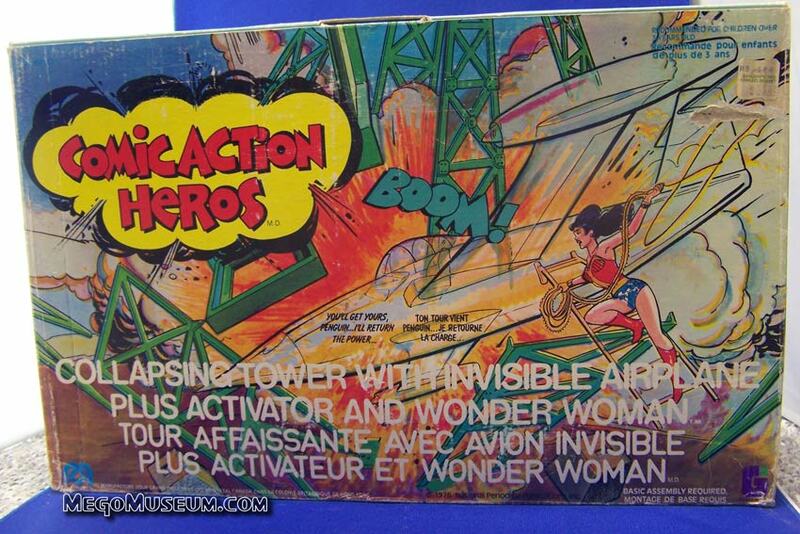 The Exploding Tower Playset allowed Mego to make an Invisible Jet and they did a great job! 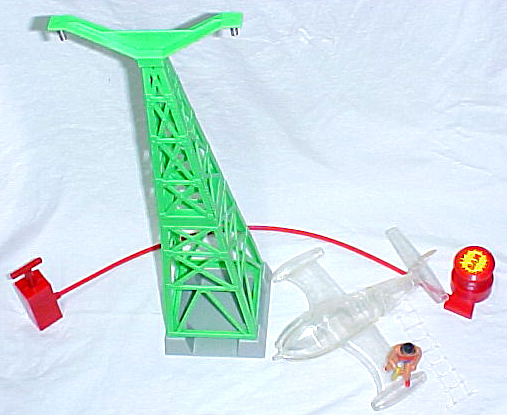 Not only does it have a foothold on the wing but a retractable stepladder. 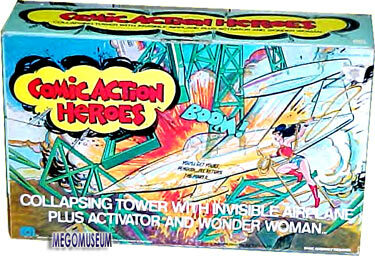 The Exploding Tower Playset in it’s US packaging, the box is drawn by comics legend Neal Adams.